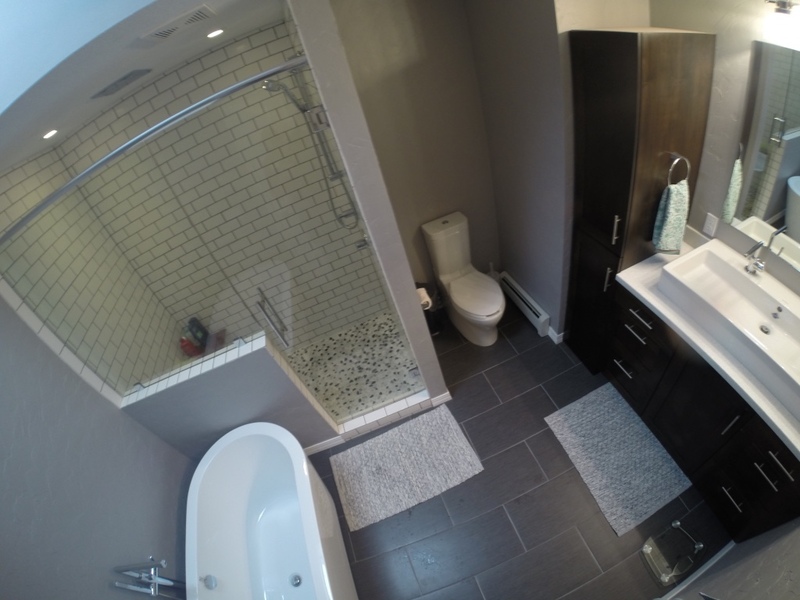 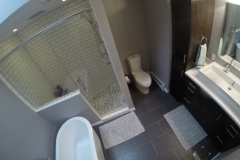 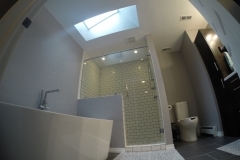 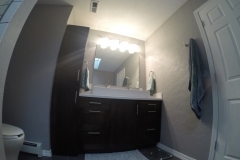 We did a remodel job for Jesse Chase that included a complete layout change, all plumbing lines were moved, and nearly every aspect of the bathroom was changed. 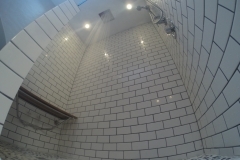 We put in heated floors, covered by 12×24 tiles. 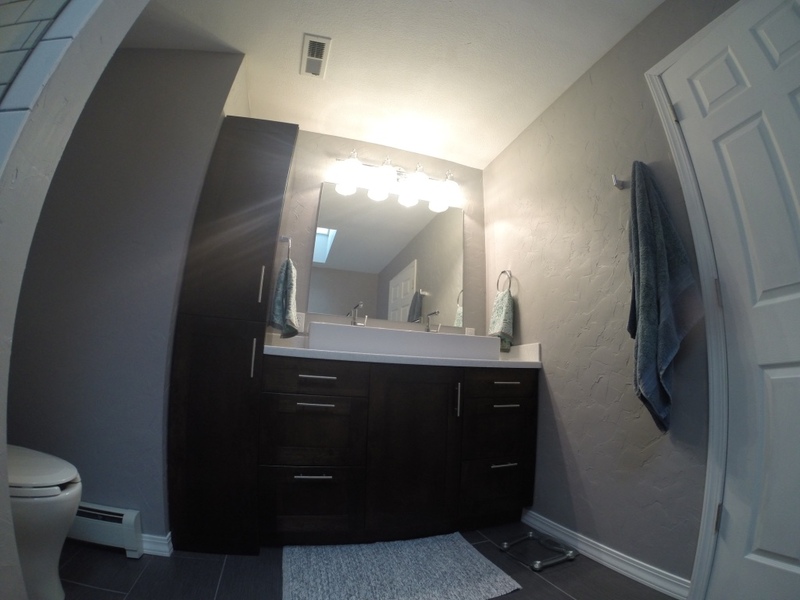 We installed custom cabinetry that included a double vessel sink. 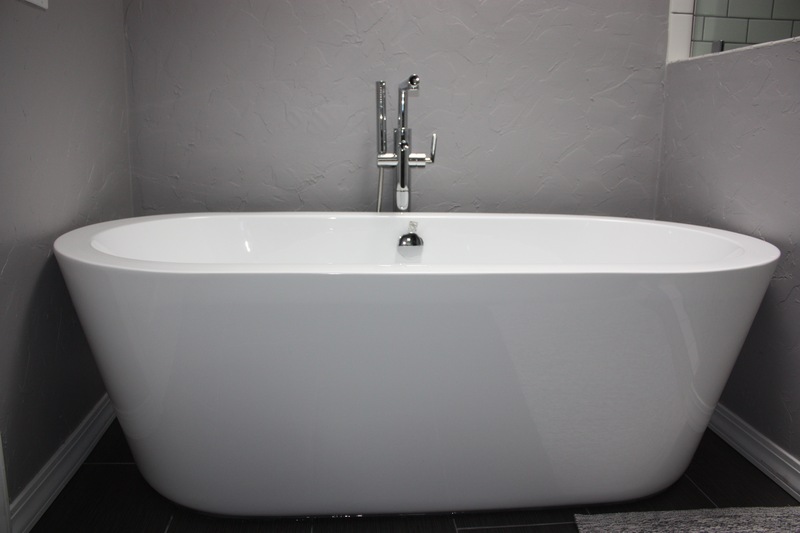 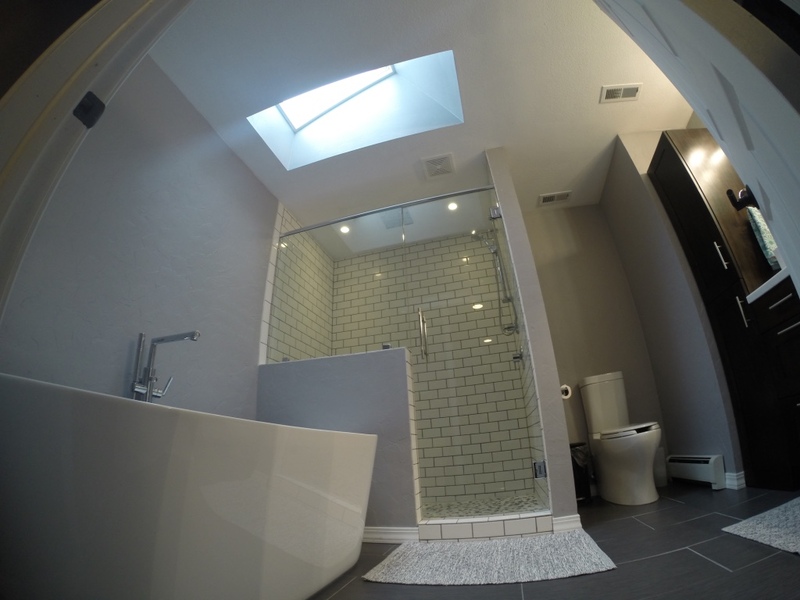 We also installed a custom bathtub and bathtub filler that turned out amazing. 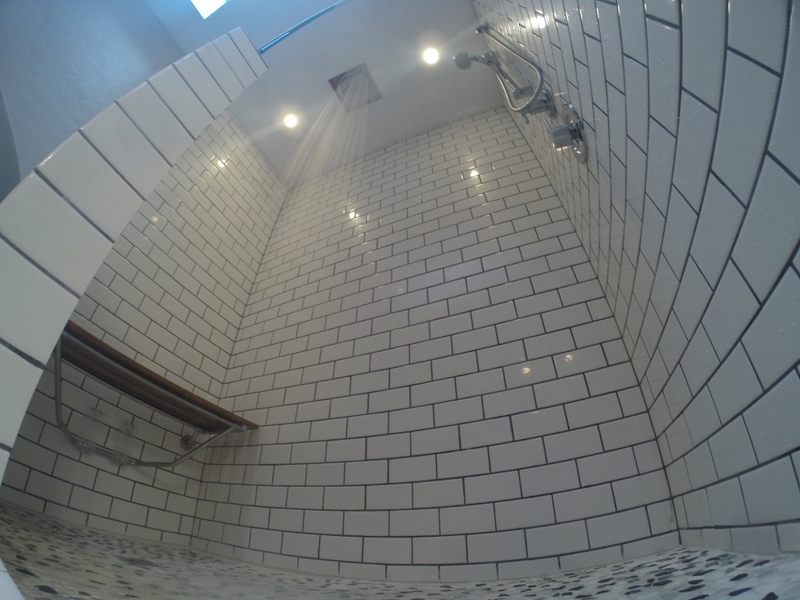 Lastly we built one of the nicest showers we have seen, which included a rain drop shower head and a wall shower head, as well as subway tiles and pebble stone flooring.